Rich dark chocolate make these pistachios the perfect after-dinner treat. 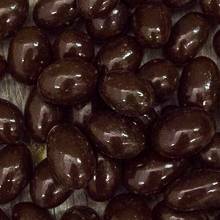 They are a unique sweet and salty combination of pistachios smothered in luscious dark chocolate. We bet your taste buds are anxious to try these! Price quoted is per pound, not including shipping.